Headaches, neck pain, sore throat, waking up feeling tired – these are all common problems that many people encounter and think nothing of. If you wake up feeling tired every day, or wake up with a headache, or take aspirin or pain medications several times a week or even every day, you could have a problem with your temporomandibular joint (TMJ). TMJ problems affect 75% of the population at some time in their lives. Many people don’t realize they have a TMJ problem until certain symptoms become severe enough to cause them to seek medical help. Difficulty chewing and swallowing can be one of the most frightening TMJ symptoms. The TMJ is one of the most active joints in the body. It lies between the mandible, which is the lower jaw bone, and the temporal bone, which is a bone at the side of the head. These joints that lie near the ears on both sides of the head go into action whenever we talk, chew, swallow, yawn, breathe through the mouth or do anything else that involves opening and closing our jaws. The Medial Pterygoid Muscle is closely associated with throat pain, pain on swallowing or the feeling that something is stuck in the throat. This same muscle when shortened or in spasm creates a massive medial pull causing jaw flexion and increased TMJoint pressure. When you think about this, it is easy to see why the TMJ is such an active joint, and why in a person’s lifetime this extremely hardworking joint is bound to develop some problems. One of the most alarming signs of TMJ disorder (which is sometimes abbreviated as TMD or simply TMJ) is having trouble swallowing or pain when swallowing. The TMJ is cushioned by a soft disk that allows it to move smoothly, but sometimes this disk can move out of place. This is why TMJ can cause throat pain and other issues; without the disk giving shock absorption and cushioning, the normal smooth movement of the joint is compromised and the result can be pain when moving the jaws. When TMJ causes swallowing difficulty or swallowing pain, it can be frightening. Another experience of TMJ sufferers is clicking sounds when opening and closing the mouth, or even temporary jaw locking. When associated with sleep disordered breathing it can also cause GERD or Gastric Reflux. The bad news is that there is actually no complete cure for TMJ disorders. The good news is that there are treatments and answers and no one who suffers from TMJ symptoms is alone. While jaw locking or throat pain and difficulty swallowing can be disturbing, pain relievers can help, and there are simple things TMJ sufferers can do to alleviate their symptoms. Doctors and dentists who treat TMJ patients recommend conservative treatment. Pain relievers and mouth and jaw exercises are often prescribed. A diagnostic physiologic orthotic is usually an initial treatment for more severe TMJ disorders while ore mild problems can be treated with a bruxism appliance that is worn only at night. The orthotic is called a stabilization splint. As these do not permanently change the patient’s bite, they fall under the category of conservative treatment. Other self-help treatments that can help with TMJ are breathing exercises, relaxation techniques, a change in diet (to softer foods) and avoiding gum chewing or extreme jaw movements. Invasive surgical treatments for TMJ can be undertaken, but these are irreversible and have not been proven to be effective at alleviating symptoms. Minimally invasive treatments like trigger point injections, prolotheapy and nerve blocks can give amazing pain relief and help you return to function with minimal risk or discomfort. Currently, Botox is being utilized for TMJ disorders and migraines. The use of powerful toxic substances can be useful in breaking a cycle of pain but the long term effect is unknown. Correcting the underlying causes of TMJ disorders can achieve the same or better results as Botulinum Toxin. Botox is popular among neurologists who usually only write perscriptions for their patients. If you have been experiencing any TMJ symptoms: headaches, ear ache, neck pain or stiffness, difficulty or pain when chewing or swallowing, clicking sounds when opening and closing your mouth, tooth pain or loose teeth, sensitivity to light, pain in the jaws or facial pain, you may be one of the many people who has some type of TMJ problem. If you are interested in learning more about TMJ and ways that you can get relief from the pain and symptoms, contact our office. We can answer your questions or set up a consultation appointment. The passing out when choking on liquids is not a TMJ symptom and should be evaluated by a physician. The chronic facial pain and headaches are a typical TMJ syndrome. I have a mild case of TMJ however there is very little pain and I have no difficulty swallowing. However I have a off an on constant throat pain or irritation. It comes an goes away. Sometimes I go all day with no problems and some days the pain is bothersome as it comes and goes. Other than that I have some pain in my jaw area when chewing however this eases up after the first couple of bites. I also hear a crackling sound in my right ear when opening wide and closing my mouth. It sounds like you have a mild TMJ disorder that can probably benefit from treatment. The throat pain may or may not be related to a TMJ disorder. The throat pain could be related to reflux or other issues. I would suggest seeing an ENT to rule out primary throat issues. TMJ disorders are related to sleep disorders and apnea that is related to reflu so there may be a secondary connection. I fell off my bike a few months ago, and split my chin and broke a bunch of molars. I’m still in the process or getting them fixed with Root Canals etc. My problem is that the pain in my jaw is unbearable. For a day after a dentist appointment, I can barely open my mouth or even swallow. Please tell me how I can make the pain stop, or at least diagnose the pain. I started noticing that I had a TMJ problem in 2008 when I couldn’t open my mouth and couldn’t eat properly since there was limited opening of my mouth but after a while it lessen and I paid no mind to it after then this year this got worse. I yawned then my mouth wouldn’t open properly for three months so I consulted a tmj specialist in our area and she suggested for me the wear a splint the would raise my bite. I have been wearing for three months now. Last month I yawned again and this time my jaw wouldn’t close for 10mins and the pain was excruciating my progress for the past months went down the drain just because of it. And yesterday I woke up feeling pain in my right TMJ, my ear my temple my neck and pain when swallowing for the whole day and it still hyrts today. Pain killers doesn’t help either and eating also causes pain. I know I have a night grinding problem but this time I don’t know why the pain is to much. I have had issues with my TMJ for years mostly not able to hold mouth open for long periods or chew gum etc. However, over the past month I have been in severe pain after an extensive dental visit. I had 2 crowns done in one visit to the DDS. I normally recover fro a DDS visit with in a day however this time I am still in very severe pain. I am also having watering and twitching eye on the left side which is the side of the dental work. Additionally, I have had scary problems swallowing. My DDS fitted me with a nightgard and has been doing cold laser on me with no relief. If anything I think the nightgard makes things worse. I just started accupucture as well I am hoping something happens with that. I am wondering where to turn now? I am also wondering if the novacane injection which was done for the crowns on tooth 18 and 19 lower left side could have caused this terrible flare up. The injection was done with wide open mouth and into the space furthest back between the upper and lower jaw. I would appreciate any advise you have. I live very far from you in AZ and I am having a difficult time finding anyone to treat my problem. There are many possibilities for the underlying cause of your pain. The two primary causes are myofascial trigger points and taut muscle bands and a dislocation of the articular disk inside the TMJoint. Disk issues can cause severe pain and need to be addressed bu unlocking the disk. Trigger points can be addressed with trigger point injections, Spray and stretch, ULF-TENS and manual therapy ie myofascial trigger point therapy/ Physical Therapy. It is possible you have a myositis secondary to infection or irritation of the mdeial pterygoid muscle from the trigeminal nerve block you had done. You are in dangr of this becoming chronic through neuroplasticity and or permanent damage and should precede with diagnosis and treatment. I would strongly suggest a well trained physiologic dentist who has experience with Sphenopalatine Ganglion Blocks, and trigger point injections. Tessa, Look for a physiologic dentist with experience in doing trigger point injections, nerve blocks and Sphenopalatine Ganglion Blocks The open lock is a very different problem than your previous issues, it sounds like a subluxation and you may need to limit your maximum opening. Prolotherapy can correct this issue after resolving your pain. You may have a close-lock which is an emergency or possible just severe myofascial pain and restriction. Time is of the essence as permanent damage can occur and you can become a chronic pain patient. 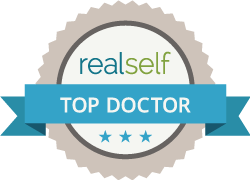 You need a physiologic dentist who can unlock you, do trigger point injections, spray and stretch and prolotherapy. You need to find a dentist who understands treatment of TMJ disorders and chronic pain. Hi I I have experienced headaches, ear pain and dizziness with my TMJ and terrible migraines. I’ve also been experiencing ringing in ears. I’ve noticed my right ear to my throat hurts. There is pain in the bottom right side of my throat and I wanted to know if this is TMJ related. I also have a lot of tension in my neck, back, and shoulders. I am going to the dentist to get a mouth guard. I was advised it will help. Throat Pain is a common symptom of TMJ disorders but is not always addressed by a simple nightguard. It can be referred from Medial Pterygoid Muscles, Digastric muscles especially the posterio belly and the Mylohyoid Muscle. It can also be referred from the neck or be related to GERD. Ear Pain is another common Symptom of TMJ Disorders. When you talk about tension in your neck, back and shoulders you need to look at the big picture. Let me know how you respond. If the nightguard alone is not effective there are many other very effective treatments available. These problems can be TMJ related but I would have a physician evaluate the tightness in the chest to rue out cardia symptoms before moving into TMJ treatment. In all likelihood it is all myofascial pain. 3 years ago i went to a physician to complaint about my jaw because I notice a popping and clicking sounds but didn’t really know what it is he referred me to an ENT but this specialist didn’t tell me that I have TMD. This 2017 I went to my MD coz I noticed a left jaw deviation when I opened my mouth.he diagnosed me that i have tmd.now im experiencing neck, back, shoulder, slight facial pain, numbness,throat and chest tightness, and I developed scalloped tongue. I believed it’s all because of my tmd. Pls I need an advice! I’m very anxious at this point. Physicians typically know very little about TMD issues. Mild clicking does not always need to be treated but pain should be addressed and it sounds like your internal TMJ derangement is becoming more of a problem. I would suggest looking into a Diagnostic Physiologic Orthotic as a first step. It will allow your jaw position to be stabilized and help alleviate your pain. Initial treatment should always reversible. When the pain is eliminated and the joints stable you can discuss long term options. This is my Youtube channel that has over 100 patient testimonials. Most patients find it helpful to hear other patients stories. I am very sorry for your loss. I lost my first wife after in 2011 after being together for 40 years and I share your pain. It is good news that the tests are all negative. I suggest starting with a physiologic diagnostic orthotic and giving yourself time to heal. During times of stress all problems become worse because our ability to cope is drained. I suggest you have a professional too help guiide you thru your grief to your new life. Even if you have many friends and family it is helpful to have an outside resource not part of your immediate circle. You will miss your husband forever but the pain becomes less of your life over time. 3. unable to open mouth wide feels it my mouth gets locked half way. pls let me know whats the problem. Recently started splint therapy about a month ago. First was just the full bottom splint then nti and on wed. Will get the mora appliance. The nti was not cousing any pain until today my jaw is so tight and the pain in my teeth is out of control. Orajel helps a little and muscle relaxers are not working. Should pain be this bad?? Before treatment all i had was jaw tightness now im not sure if its getting better or worse!!! NO, it should not be that bad! Any time the pain is getting worse you should check with you doctor. The NTI works by sending pain messages to the brain to stop clenching. Some patients clench worse with the NTI and cause serious problems. I generally utilize a low frequency TENS to relax muscles and find a physiologic position for the mandible. Generally patients get better on a consistent basis but can have set backs depending on everything going on. Most patients experience 50-80% improvement within the first few visits. Please watch these patient videos to understand what is expected with treatment. It sounds like you may have a close-lock disc displacement and should be seen by someone to evaluate the problem. Please view my patient videos to better understand treatment. I had my all four of my wisdom teeth pulled when I was 18 in boot camp. About 6 months later my jaw started locking up. I was told that surgery was the only option. I chose to live with the pain because I did not want them practicing on me in the military. I also noticed I started having heartburn after that. I was wondering if you have any articles to back up the connection of heartburn and TMJ. Extraction of wisdom teeth, particularly lower third molars can injure the muscles, ligaments and tendons around the TMJoint and lead to future joint problems. i would suggest being evaluated for sleep issues including snoring and/or apnea that can be related to reflux. I have suffered from tmjd for 6 years now both my discs are severely displaced, in the last year I have developed a new symptom I.e. 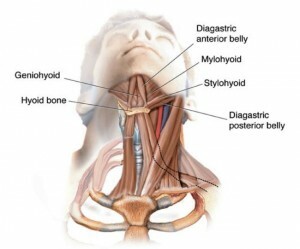 difficulty swallowing particularly foods such as melted cheese, cold meats anything stringy etc I suddenly come to a hault and am unable to begin the swallowing process to push the food into my throat, is this related to my tmj muscles or something else? The first order of business is to be thoroughly checked by a gastroenterologist, very important! Problems like esophageal cancer, hiatal hernia, and others can give you these symptoms. I am sorry to hear you have suffered for six years but those types of problems can lead to various types of orofacial pain, diskinesia when swallowing, neurological changes, changes in muscle function, changes in tongue an hyoid position, forward head posture and airway issues. Airway issues can lead to reflux and issues like Barrettes Esophagitis. Shimshak’s research showed patients with a TMJ diagnosis had a six fold increase in medical services in every field of medicine (except obstetrics). I can help with your TMD issues but start with a thorough GI work-up. I already had the symptoms of Tmj but ignored it, now my jaw is closed locked and it’s been 1 week and 2 days already. I consulted a dentist and asked me to take xray for tmj and told me to wait for the result. Although I would like to very much know if these symptoms I’m recently feeling are things to be worried about or not. Also before I had symptoms of closed locl tmj, I always had soar throat and even had tonsilitis. Just wondering if it’s also related with Tmj. I can help. The longer you are locked the harder it is to treat your issues. Your symptoms are probably related in many ways and I can help many if not all of your symptoms. This video is a recent patient who presented with a closed lock TM Joint condition. I look forward to helping you achieve a better quality of life. A little over 2 weeks ago, I woke up with a severe sore throat on my left side when I swallowed. I could have sworn I had strep throat but I had no fever. It began radiating to my ear. I went to my primary doctor a few days later because I was getting no relief. They diagnosed me with an ear infection. After a round of antibiotics, my pain was still there. I then decided to see an ENT. He found my ears to be clear and only some drainage issues in my throat. He immediately said he thought it was a TMJ issue. I have had issues in that jaw before but no pain like this. My jaw does click and pop when I open and close it. I have never had a throat issue with it before. I never knew that could be a symptom. What are your thoughts? Throat pain is a relatively common symptom seen in patients with TMJ disorders. hroat pain associated with TMJ disorders is usually referred pain from Myofascial trigger points in Medial Pterygoid muscle, Sternocleidomastoid muscle and the posterior head of the Digastric muscle. Hi there I have a problem with the back of my throat every time I start chewing my throat feels a tightness kind of like a throat spasm and when I swallow it’s sore on the right side of my throat .This has been going on for months noe .Went to ENT specialist said he could see nothing wrong have been to the dentist who said he can find nothing wrong. Go back to my Dr and keep telling her it’s still the same she said there’s no cancer which is my biggest fear in life been on anti depressants for years can’t stop feeling there missing something ,Who can I go to see who can help me .Would physiotherapist be able to help . You are probably dealing with referred muscle pain which is the muscular portion of TMD. A neuromuscular appliance can be very helpful. You might also want to see an oral myofunctional therapist who can help you retrain your muscles to correct these issues. Got tmj. Ear and throat pain. Headaches, burning feeling in my face neck shoulders and right arm, reflux in right side of throat. Breaking out. 27 unbearable. Something with the disc to where clicking popping misaligned teeth. Been to ent. Dropped 9 numbers to 20 percent oxygen an up nine numbers doctors don’t believe me. Loss of weight, sleep, 27 yrs old. Feel drained. Hello Dr. Shapira, my mom actually has a condition called submucous fibrosis. She gets checked out and stuff for her condition but recently she has been having excessive facial pain, she has tooth pain as well, she hears a clicking sound, and just recently for the past four days shes had a really bad soar throat that caused her to have difficulties while swallowing and chewing. Even water would hurt going down. She felt better for two days and now the pain is back. The mouth pain and tooth pain had also stopped for a couple weeks now but is back full force causing extreme pain. Is this TMJ? I have a long history of bruxism and minimal jaw pain. However I had tooth number 18 painfully extracted and 8 months later had a crown/rootcanal on tooth 19 which has completely debilitated me. During the nerve block I got a hematoma and immediately felt awful jaw pain after that appointment. Everyone swears it is not the tooth And so I recently started seeing a TMJ specialist who wants to start conservativel and so I recently started seeing a TMJ specialist who wants to start conservatively. I have a number of textbook TMD symptoms my fear is that he hit something with the nerve and this is going to become chronic the longer I wait can you please tell me how long is too long to wait to do something like trigger point injections before this becomes chronic ? It’s been two months and nothing has stopped the pain. It definitely feels muscle related ans my opening is 30 MM. thank you so much in advance for any advice and insight? Your story is similar to many patients I have treated with TMJ disorders and point out the multifactorial nature of these disorders. Was #18 severely decayed or was it removed due to pain? Normally extractions are not associated with pain during the procedure. When a procedure is painful it can leave an imprint in the Limbic system of the brain where we feel pain and emotion. When 19 had the root canal was it infected or was it done for pain? These questions are important to understand the nature of the pain. Dental procedures such as extractions and root canals are often done in an attempt to relieve pain. Sometimes the pain does not originate in the tooth but is referred pain from other tissues such as muscle. Referred tooth pain feels exactly like pain coming from the tooth. You may have had joint damage during painful extraction as well and prepping 19 could have led to internal changes in the TM Joint that caused increased intra-articular pressure or set off clicking. The hematoma is likely not the cause of ongoing issues but changes in your bite may be. Myofascial pain is the number one type of referred pain. It is unlikely but not impossible that he damaged the nerve, nerve damage from injections would usually heal. The 30 mm opening is suggestive of a close -lock which should be addressed aggressively (non-invasive) to reduce dislocation ASAP. Examination can determine extent of problem. I suggest you also visit http://www.triggerpoints.net to better understand referred pain. It is important to relieve or eliminate pain ASAP to prevent Central Sensitization and chronic pain problems which are far more difficult to treat. I have been reading through some of the material on your website. I am a TMJD sufferer who has had dysphagia and my throat still flares up. I am contacting you to inquire where I can find information on the connection of TMJD and dysphagia. I have been diagnosed with malocclusion, my jaw shifts to the left, and I have upper back and neck pain. I also have headaches as well as pain at the back of my head. Even my facial muscles have felt “off” for some time. This happened following orthodontic treatment where my orthodontist used several TADs and it resulted in my jaw shifting to the left. I did not have bite problems prior to treatment which is what makes this situation even more troubling. About a year ago I had a few weeks of difficulty swallowing (dysphagia). This happened right after I started noticing grinding noises in my TMJ on opening. It felt like I had pulled a muscle in the back of my throat. My throat has been inflamed ever since and I still have flare ups and a sore throat. My doctor has done throat swabs which have come back negative. I also have never had a problem with acid reflux. I am trying to find a doctor to fix my malocclusion, but I am also trying to figure out what is causing the sore throat. What connection is there with TMJD (specifically from malocclusion and as well as a jaw that has shifted to one side) and dysphagia? If you know of any studies and/or published material that I can reference that would be greatly appreciated. I am asking because most dentists refuse to acknowledge that there is any link between TMJD and dysphagia. Also what test should I run to rule out other causes, a full GI workup? Any and all information would be helpful. There are many related problems. There sre myofascial issues related to improper use of jaw and neck muslce. This can cause taut bandswith trigger ponts and myospasm. Both of these can also cause muscle splinting. The throat pain and dysphagia can be muscle related or related to reflux and/or sleep related breathing disorders. The tongue connects to hyoid bone but position of tongue and hyoid bone is changed with changes in bite as is head posture. I know you were unaware of previous bite problems but frequently subthreshold problems come to light during orthodontics. The ortho may have created UARS, hypopneas or apneas that are related to reflux and burning. You need a doctor to comprehensively look at all of these issues. Sorry, but without a personal evaluation that is the best I can do. Raw ginger root can help speed peristalsis and prevent reflux. Eat it after dinner and an hour before bed. I had full facial paralysis due to guillian barre syndrome. I have some permanent nerve damage on the right side of my face and at times drool a bit or have trouble holding food in my mouth on the right side. I since my initial facial paralysis have occasionally experienced spasms and pain in my right anterior neck when I open my mouth wide and then a sore throat with swallowing that comes and goes. This has become much more severe over the last month. Could this be TMJ related and related to nerve damage from the guillian barre? I frequently see patients with severe issues that have not been resolved elsewhere. I can often help with symptoms similar to yours. Unfortunately, I cannot promise success. Have you had a sleep study? Have you tried Sphenopalatine Ganglion Blocks? Have you had MRI and/or CAT scans? What did they show? What preceded the onset of symptoms in the previous 6 months? Ideally, writing a detailed chronologic history of symptoms, treatments is extremely helpful. Initial symptom and when new symptoms started. Medications and positive and negative reactions to them. Cases like yours are usually complicated and need to be unraveled like a knotted ball of yarn. Solving your issues may be a series of small solutions.